Yep, I admit it. I’m completely biased with this one because I’m a musician myself… For many years I’ve made a living as a singer, and feel very privileged to be able to do so! But that does mean that I get to see first-hand on a weekly basis just how much live music enhances celebrations and special occasions. As I get booked to sing for any and all parts of a wedding day, I get to experience the impact it has on the different parts of a wedding, in different ways. I often sing quite meaningful and emotional love songs as part of couples’ ceremonies, and it moves people in a very different way than listening to a CD being played by someone at the back of the room. People, especially mothers of the bride or groom and slightly older relatives will quite often shed a tear or two and I’ve had to become very well trained in not getting too emotional myself when I see that! Having someone right there performing the words to you live makes you listen to them in a very different way, sometimes maybe REALLY listening to the words of that song for the first time. It also brings an energy to the ceremony room that just isn’t there with pre-recorded music. Time and again I see it make such a difference, and get countless comments from guests about how much they enjoyed the music… and yet it’s still only a minority of couples who think to have live music for their ceremony. Whether I’ve sung for a ceremony, drinks reception, throughout the breakfast or in the evening, when I hear back from couples after the wedding they usually comment on just how many of their guests are still talking about the music weeks afterwards, so I know live performance at a wedding is something that makes a big and lasting impression on guests. 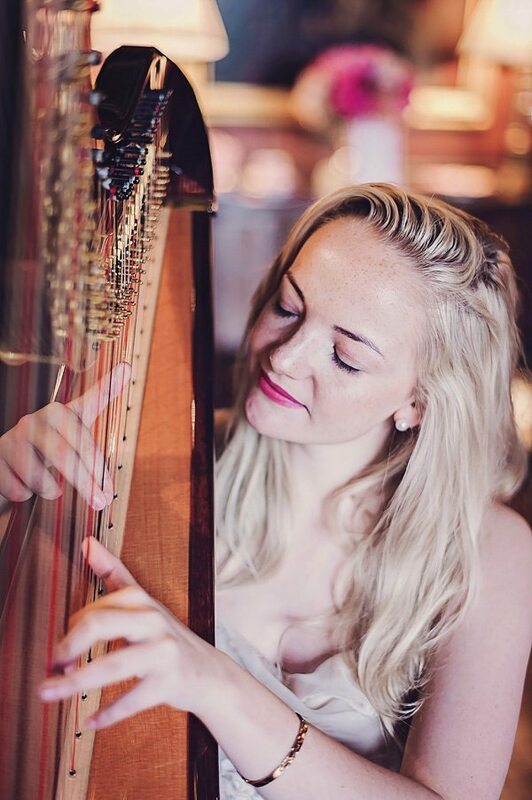 A singer may not sound like your cup of tea but a string quartet, the heavenly sound of a harp or a sensitively played saxophone will have a similar effect in making your guests say “wow” and making them feel your choice of music in a different way. There’s something very emotive about strings and woodwind instruments. 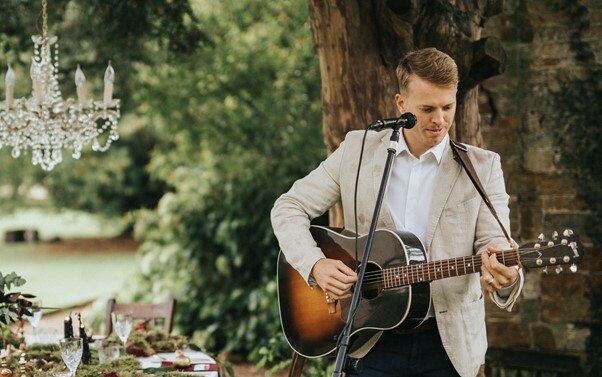 Perhaps your venue and vibe is a bit more chilled and bohemian and you think a quartet or harp would be too formal – what about an acoustic duo? There are some fantastic ones around and they can put a unique spin on well-known songs. Some venues even have their own grand piano so it would seem a shame to squander it and not add a pianist! Live music throughout the meal really adds ambience and solves those awkward lulls in the conversation when the food is brought out, and of course live music in the evening will add a whole extra dimension and dynamic that your DJ alone won’t be able to. A lot of singers or bands even offer a DJ/disco service when they’re booked for the evening reception as an extra- so make sure you ask!